We are one of the leading sources of Irish Connemara ponies. 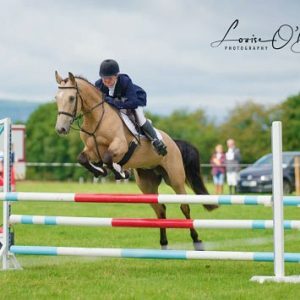 Owned by Gloria Nolan who produces and sells top class Connemara ponies worldwide. Since the business was founded 10 years ago Gloria has sold ponies all over the world, they can be seen competing at the top of their discipline. 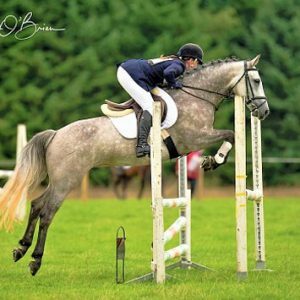 The aim is to produce talented ponies and match them with compatible riders so that they can go on to reach their full potential. 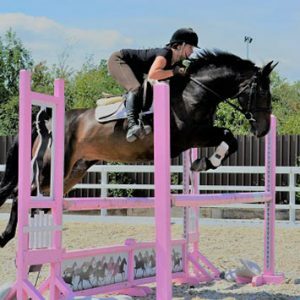 The ponies are produced to a very high standard for the disciplines of show jumping, eventing, dressage, working hunter as well as for the leisure market. The ponies are bred here on the farm as well as being carefully handpicked as youngsters from reputable breeders. The importance of their kind temperaments, pedigree, conformation, ability and training is paramount to her operation. Gloria always has a top selection of quality Connemara ponies. If you are looking for one please do get in touch to discuss your requirements. 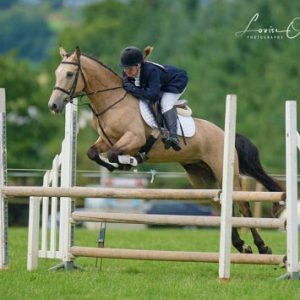 “We purchased Duke (Brave and Blazing Boy) from Gloria in September 2017 and have been delighted with our experience of buying such an outstanding horse from a very genuine and caring producer. Duke was everything Gloria described and more. He is kind, talented, well mannered and confident. He has been beautifully produced and is a joy to own. He came from Gloria in excellent health and condition and was really well turned out. She helped us through the process sending many photos and videos, and advised with vetting and transport. We have maintained contact and Gloria takes a great interest in Dukes ongoing progress. 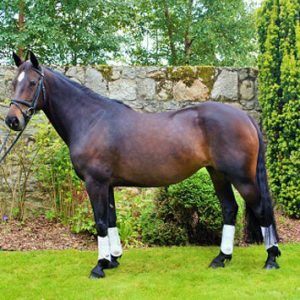 We would highly recommend anyone looking for a genuine and well produced horse. “We bought “Lacken King” from Gloria. It was a really hard decision to make, buying a pony unseen from a foreign country, but Gloria made it so easy for us! King was exactly as described and he ended up being Emma’s best friend and competition companion! They went all the way and qualified for Swedish Championships. They came 4th the first year and 2nd next year. They then moved on and started in the Nordic Championships in Emma’s last year riding ponies. 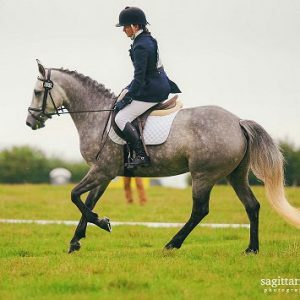 “I came across Gloria’s website when looking for a Connemara to event and show, I saw she had Shadow (Gortogher Shadow) advertised. I contacted Gloria about her. From the offset Gloria was easy to deal with. We traveled from Scotland to view her, Gloria was very accommodating and had excellent trial facilities. 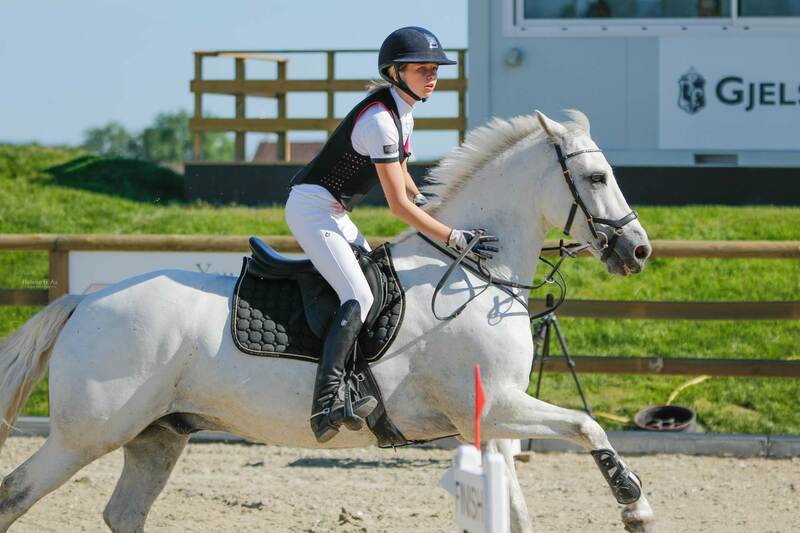 Shadow has been produced perfectly by Gloria and has been a great allrounder over the past two years we have had her. 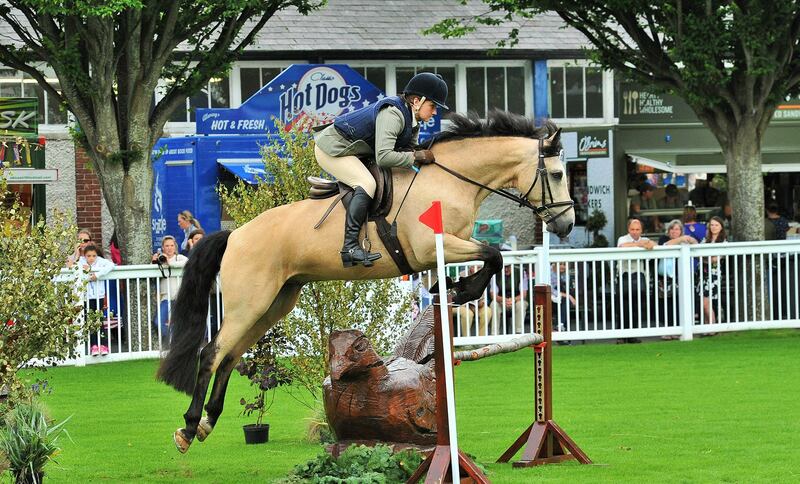 We have competed in a variety of show jumping, eventing, hunter trials and showing. 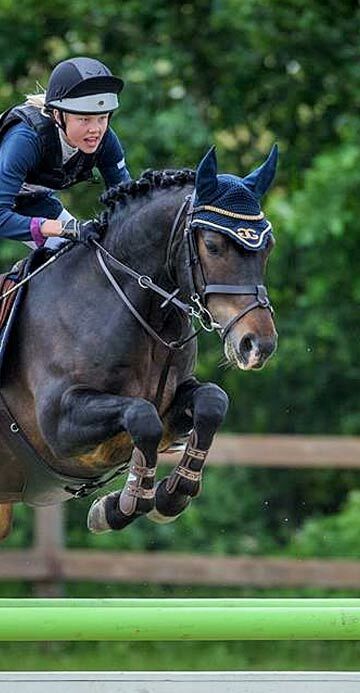 I would recommend that anyone looking for a performance Connemara pony should contact Gloria as she produces wonderful ponies. Connemara ponies and bought the most fantastic horse from them. in your job. We felt how you consider your ponies as your babies! Have an enquiry? Get in touch we would love to hear from you.